Aluminum construction for extended use applications and the ultimate hp from the "Super Sucker" design. Reg $145 - Save $20!!! 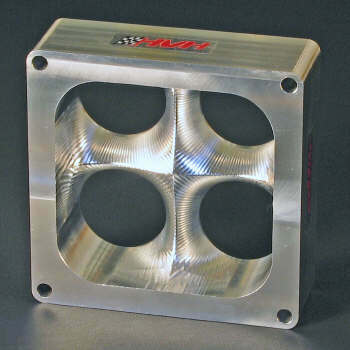 This is the best Dominator style carburetor spacer money can buy. Hp gains of 10-20 hp are typical )along with much better driveability and throttle response.